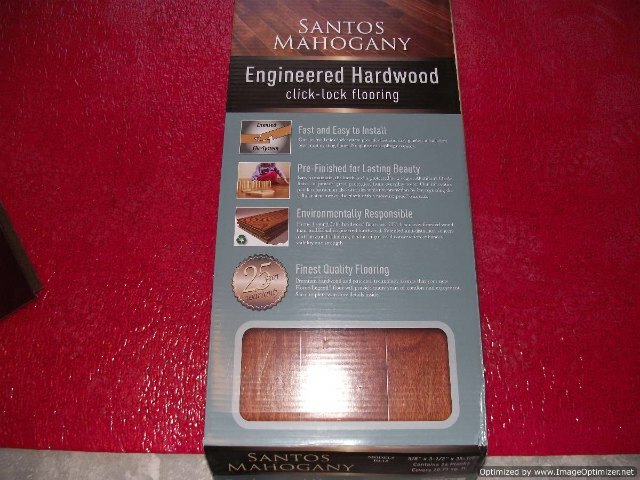 This is my review on Home Depots Home Legend engineered hardwood flooring. This review is based on me installing it for one of my clients. 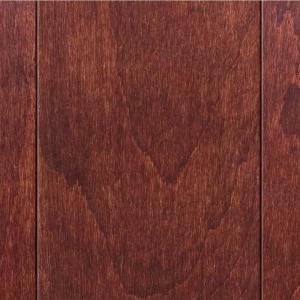 The color I installed is Santos Mahogany which has some variation from very dark to a medium brown color. You may want to see several different boards to see the variation so you won't be surprised when the floor is installed. 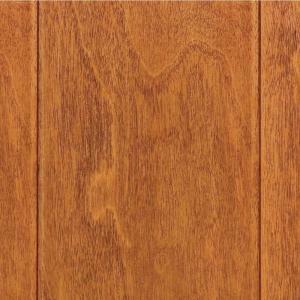 This particular product is hardwood and laminate combined. The surface is a thin layer of hardwood and the plank itself is constructed like laminate flooring. 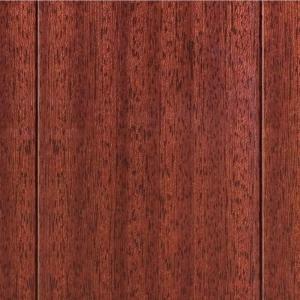 The planks lock together like laminate with no glue. 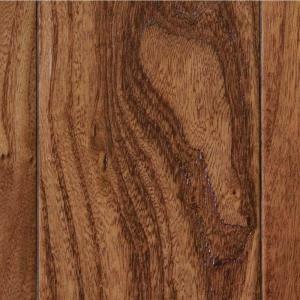 Home Depots Home Legend is a floating floor which is installed over a laminate underlayment. 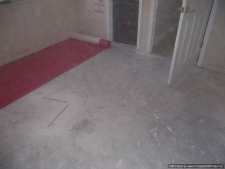 You will need underlayment that has a moisture barrier if your installing this over a concrete slab. 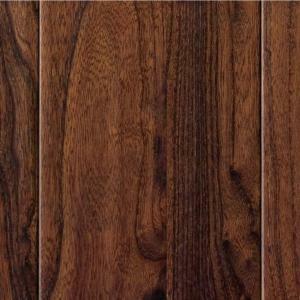 The plank sizes are 5/8 inch thick by 3 1/2 inches wide. 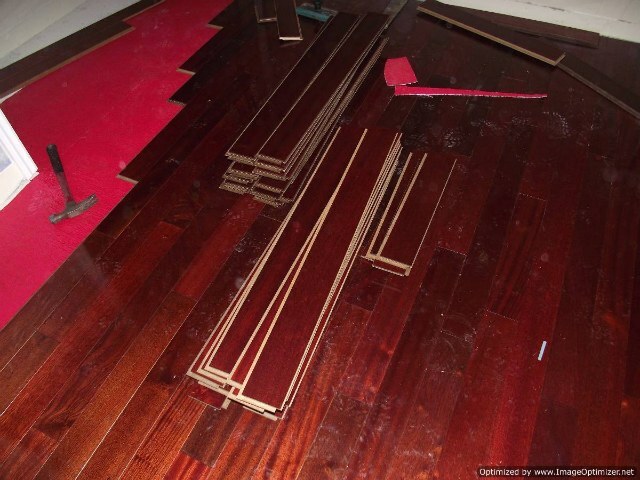 The length of the planks measured 35 1/2 inches long. Although it is not shown on the outside of the box the planks also come in half planks. The boxes contained planks that were one half of the 35 1/2 inch planks. 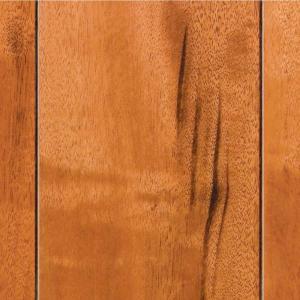 The Hardwood is protected by a 7 layer Aluminum Oxide finish and has a very high gloss piano finish. 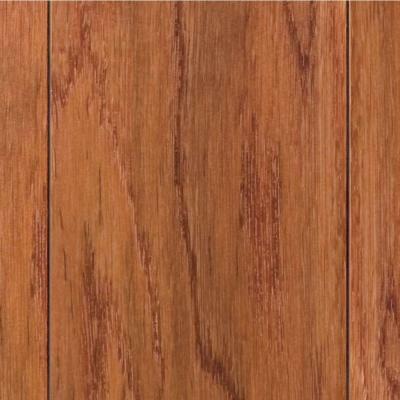 All four edges are beveled and the hardness is 2200 based on the Janka rating. It carries a 25 year wear warranty also. The cost of Home Depots Home Legend is a little on the high side at 3.79 per square foot. At that price I wasn't too impressed. This product with it's locking system isn't the easiest to install. You have to engage the two long sides with one board tilted up at an angle and the end joint drops down and locks on to the other plank. This is okay if your not installing under a door jamb. As I encountered the door jambs I had to shave a little off of the locking groove under one of the planks to enable me to tap the planks together while laying flat on the floor. I only had to shave a little off the leading edge, which made it easier then others where I had to shave the whole locking system on one of the planks and then use glue to hold them together. These colors are all the same size planks and thickness 5/8 inch, as the Santos Mahogany . 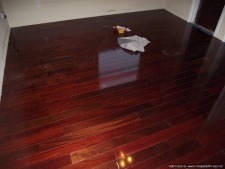 Here are the BEFORE and AFTER photos of the installation from the beginning to end.